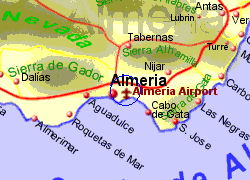 Almeria Airport is located 9Km East of Almeria, a few Km from the E-15 N-30 motorway giving access to the East for the Costa de Almeria or West to the Costa Tropical. The airport has a modern spacious terminal (for the amount of passengers handled) which has been extended in recent years, having sufficient but limited cafe and shop facilities. 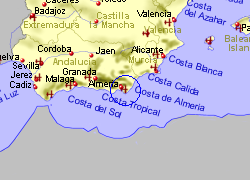 Bus to Almeria approximately every hour during daytime - price €1. 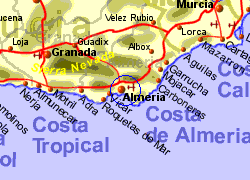 Taxis to Almeria approximately €20, Roquetas €50, Mojacar €100.